A Read-In to celebrate Black History Month will be held in the IRC on Monday, February, 29th, 2016 at 4:20 p.m. 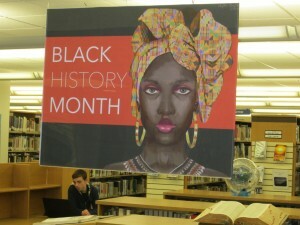 This is a collaborative effort, planned and executed by the IRC, IMSA student group PME (Peer Multicultural Educators), and the English department. 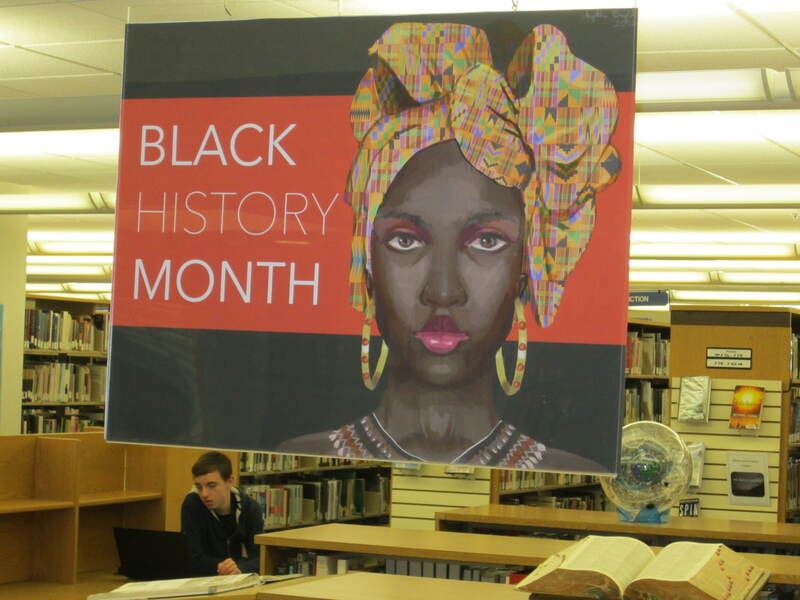 IMSA student Angitha Bright, ’18, created the Black History Month poster that hangs over the display and is pictured above. Artist, author and 1997 IMSA graduate, Tiffany Gholar, is the featured speaker of the Read-In and she will read exerpts from her self published book, “Bitter Pill to Swallow.” Tiffany will be introduced by IMSA faculty member Julie Dowling, who was Tiffany’s classmate. Copies of Tiffany’s books will be raffled off to IMSA students. 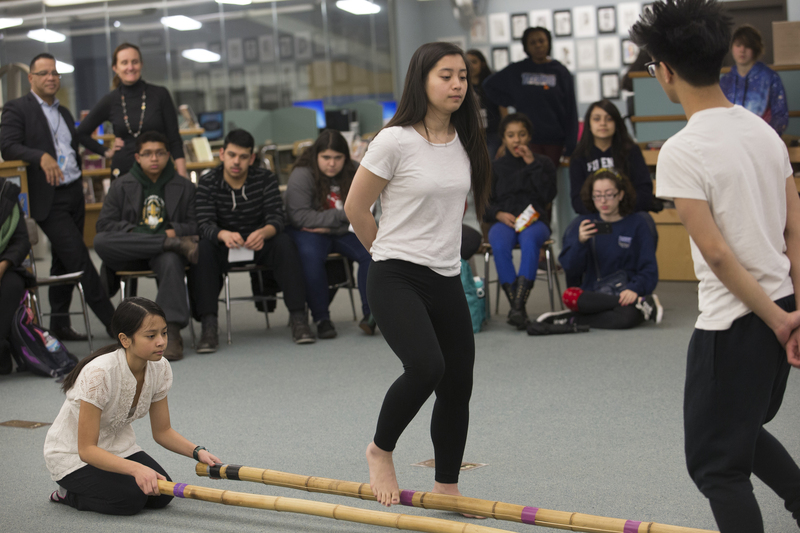 Members of the IMSA student group, AASA (African American Student Association), will perform a dance during the Read-In, and students and staff will read from original work and works by their favorite authors. 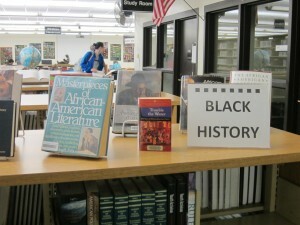 Some of the authors that will be read on Monday may be found in the Black History Month display in the IRC. 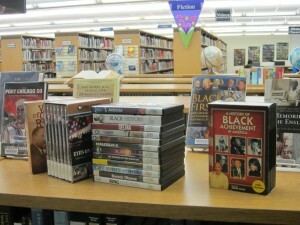 Works of fiction and non-fiction, and many DVDs of movies and documentaries dealing with black lives and race in America can be found in the display. All items can be checked out of the IRC. Food and drink will be served during the Read-In and will be provided by Sodexo. This entry was posted in Announcements, Displays on February 23, 2016 by nluebke. 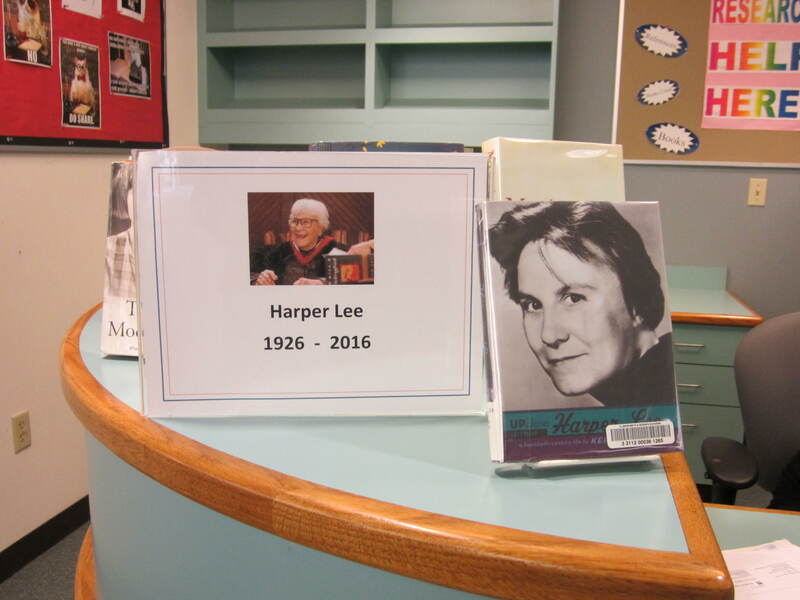 When she learned of Harper Lee’s death last Friday, February 19, 2016, Connie James-Jenkin, IMSA’s IRC Collection Development and Reference Librarian, put together a display that includes Ms. Lee’s iconic novel about race in America, “To Kill a Mockingbird,” “Go Set a Watchman,” which was released last year, and a biography that provides insight into the famously reclusive author. There is also a DVD of the movie that was made from the novel, “To Kill a Mockingbird.” All items on display can be checked out. 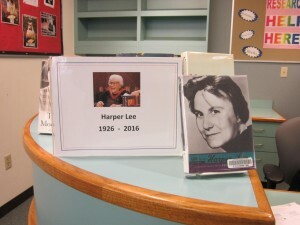 Ms. Lee, who died at age 89, had been in the news last year when “Go Set a Watchman” was published. There was some controversy over whether or not the book, which has been called an earlier draft of “To Kill a Mockingbird,” should have been published. Questions were raised about whether an ailing Harper Lee had been manipulated into releasing a manuscript she had abandoned years ago. Ms. Lee’s older sister, who was an attorney, protected her for much of her life after she retired from the public eye following publication of her popular book, “To Kill a Mockingbird.” Ms. Lee rarely gave interviews and preferred to live a quiet life in both her small hometown in Alabama and New York City. In later years, she spent all her time in Alabama, surrounded by long time friends and local residents who protected her privacy from outside interest. 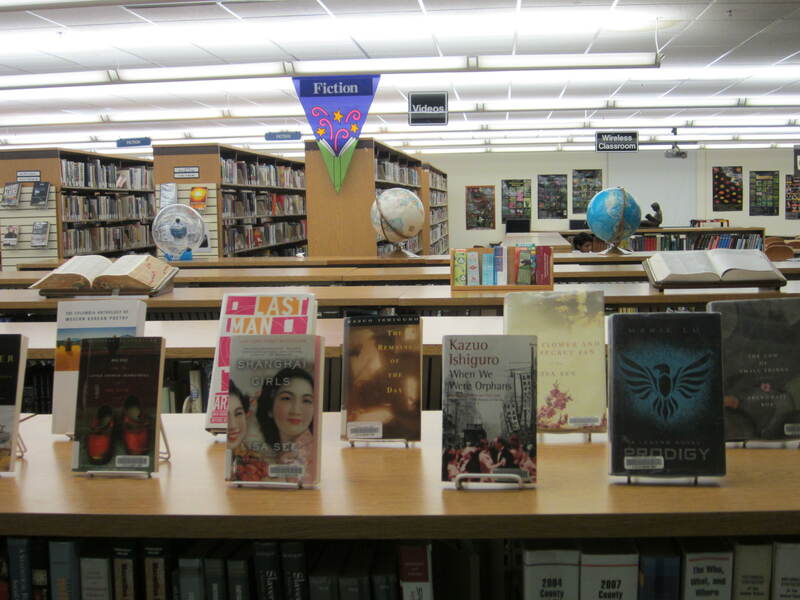 The display will remain on the reference desk until this Friday, February 26, 2015. This entry was posted in Displays on February 22, 2016 by nluebke. Testing & Education Reference Center Adding More SAT Perks! There’s no need to panic about the redesigned SAT Test. The SAT Online Course will be updated on February 14th – this coming weekend. The update includes a free online course, practice tests and other study materials, which are all free! 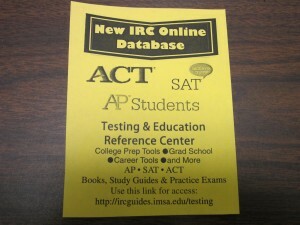 The following link will give you access: http://ircguides.imsa.edu/testing. 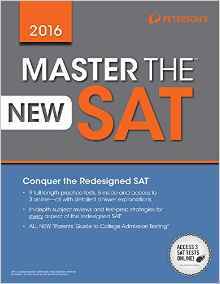 The first SAT Test will be offered March 2016. The PSAT, which has also been redesigned, will be updated and available at the link above in April 2016. The ACT is current, and all available study materials related to the ACT are at the above link. AP test practice tests and study guides in various subjects are also available at the above link. All the material for all these tests is free. All the updates and study materials are sent to us from a “premiere publisher of study materials,” said Connie James-Jenkin, IRC Collection Development and Reference Librarian. For more information, or if you have any questions, please visit Connie James-Jenkin, IRC Collection Development and Reference Librarian, in the IRC, or email her at: cjames-jenkin@imsa.edu. This entry was posted in Announcements on February 8, 2016 by nluebke. There’s more to Valentine’s day than chocolates and flowers. 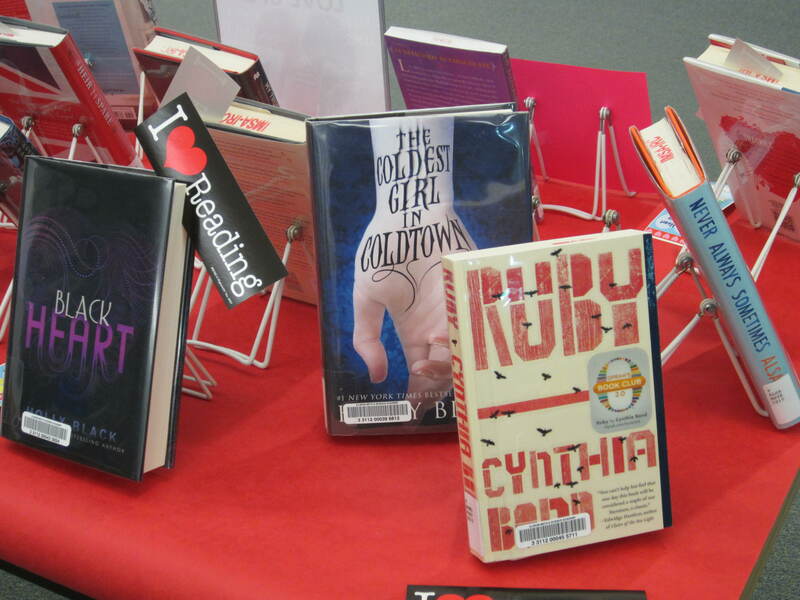 Whether or not there’s someone special in your life this February 14th, there’s always time for a good book. 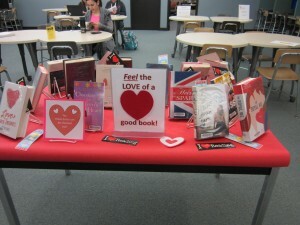 Jeanette Clark, IRC Circulation Clerk, has put together a display that will warm your heart. 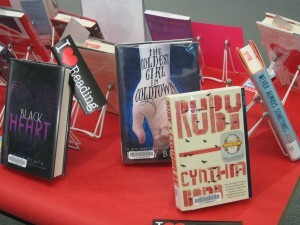 Stop by the IRC and check out the display of Valentine theme books, or pick up a bookmark. 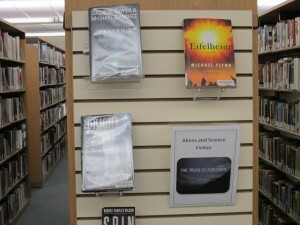 The display is near the Reference Desk. This entry was posted in Displays on February 8, 2016 by nluebke. 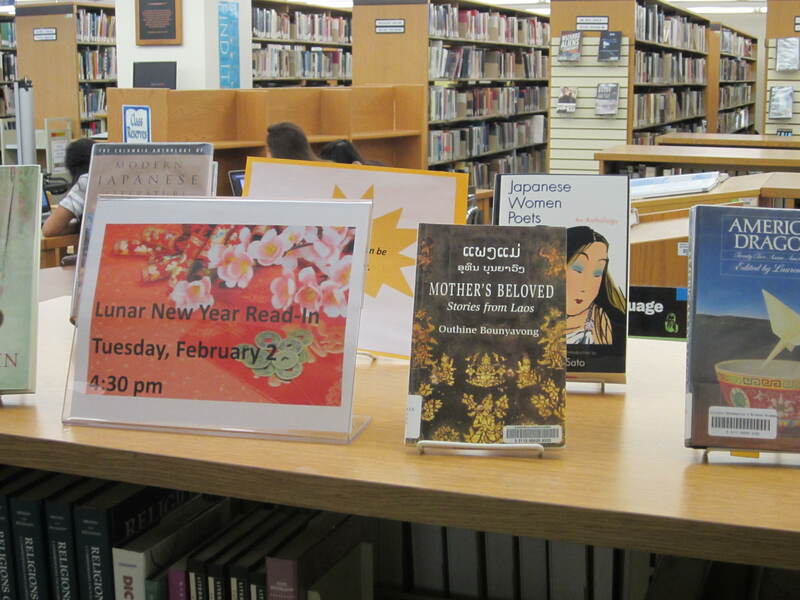 The Illinois Mathematics and Science Academy celebrated Lunar New Year by the Library (IRC) hosting a Lunar New Year Read-In on Tuesday, February 2, 2016. IRC staff collaborated with various student groups, including PME (Peer Multicultural Educators) and ASIA (Asian Students in America), in conjunction with Adrienne Coleman, Multicultural Education Specialist, and the History and English Departments. 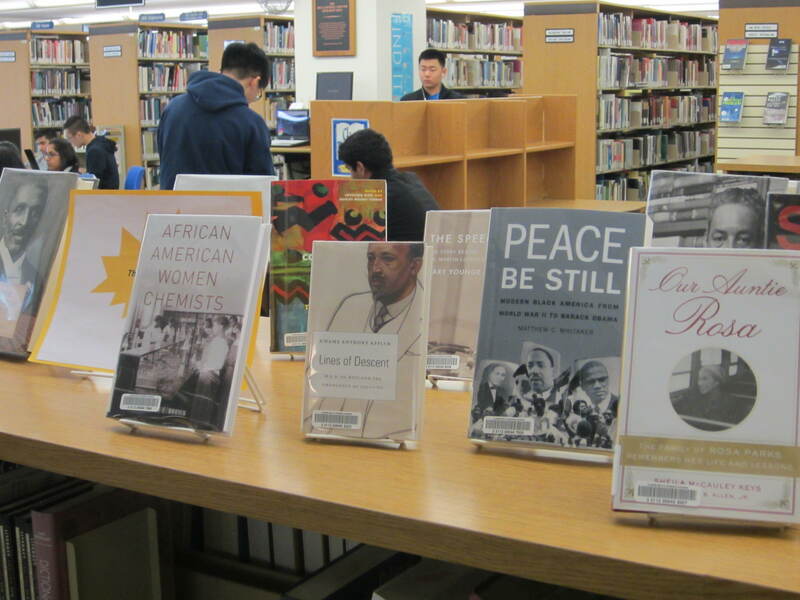 To prepare for the Read-In, IRC staff pulled a variety of works by Asian authors, including poetry, non-fiction, and fiction works. These items were made available ahead of time for students to select for their readings. At the Read-In, an introduction to the history and influence of Asian literature was given by Dr. Kitty Lam, History Faculty. 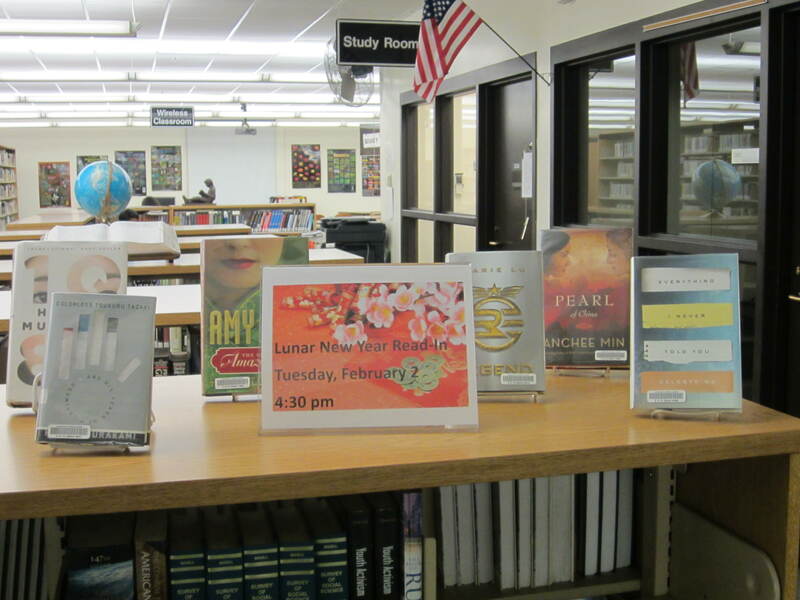 Students and staff then had a chance to read selections of meaningful works from their favorite Asian authors. 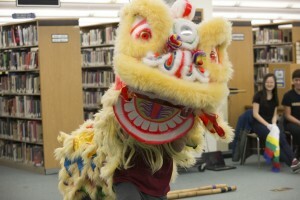 Student groups also performed a variety of Asian-themed dances. Refreshments were served. This entry was posted in Events on February 3, 2016 by nluebke. Various IMSA school groups have coordinated a Read-In for tomorrow, Tuesday, February 2, 2016 at 4:30 p.m. 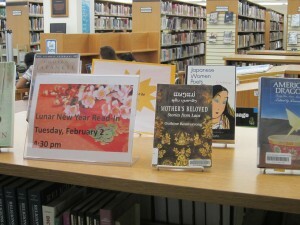 The Read-In is tied to the Lunar New Year and will celebrate Asian authors. Students and staff will read original work or a passage from a favorite author. Food and drink will be served. 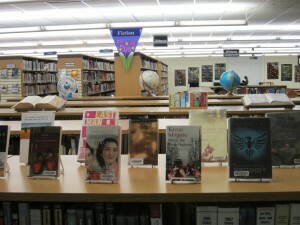 Connie James-Jenkin, IMSA Collection Development and Reference Librarian, and Jeanette Clark, Circulation Clerk, have put together a display of books that features Asian authors. 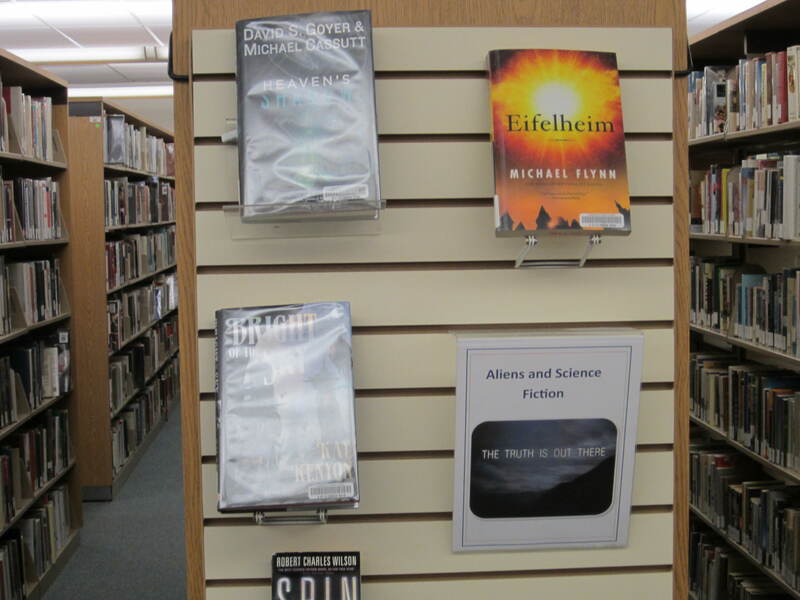 There are poetry books, as well as fiction and non-fiction works. All the items on display are available for check-out. This entry was posted in Announcements, Displays, Events on February 1, 2016 by nluebke. Fans of the “X-Files” are over the moon about the return of Mulder and Scully. 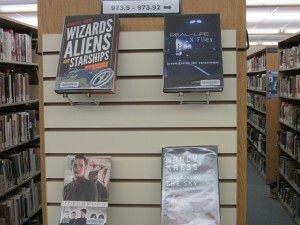 New episodes of the popular television show are running this month and in celebration, Connie James-Jenkin, IMSA’s Collection Development and Reference Librarian, has pulled some items from the library collection and put them on display at the back of the library. 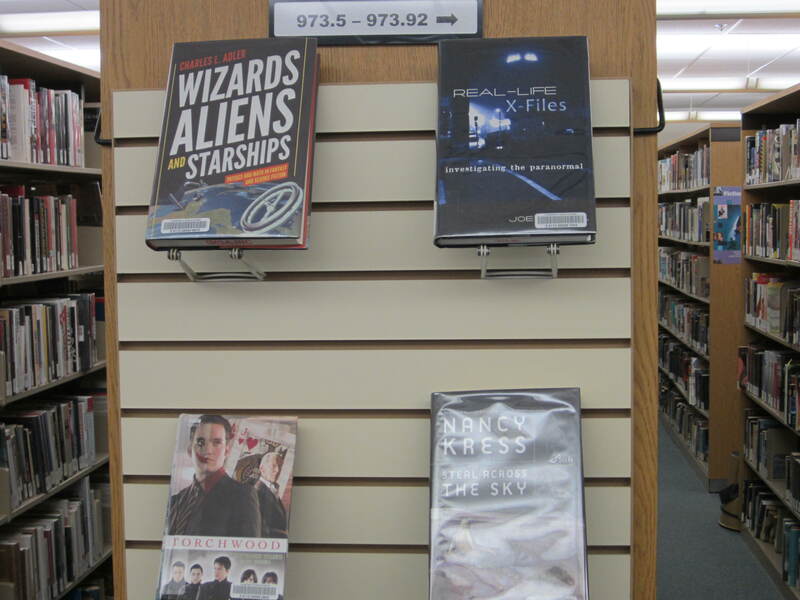 After the short run of new “X-Files” episodes is over, fans can get their ET fix from these books. This entry was posted in Displays on February 1, 2016 by nluebke.